Lost-Tite Screw 3.5 x 25mm (200 Pack) is rated 4.8 out of 5 by 25. Rated 5 out of 5 by Anonymous from Surprised how well these worked Used these to screw down new floorboards and some of the older undamaged boards on the landing after plumbers and electricians over the years had butchered the boards between them. Managed to remove every squeak and creak! Rated 5 out of 5 by JerG from Floor Boards Locked Down Major rewire job required a lot of floorboards to be taken up/cut then put back down afterwards, no one likes squeaky floorboards so prefer not to simply nail them back down and traditional wood screws are 'ok' but tend to split the board and don't always eliminate the creaking. these screws done the job I expected of them, not one of the boards I've fixed back down with them makes any noise, time will tell if this holds true, but for now well impressed. Only minor criticism is the free bits which last about half a pack, but seeing as two are provided per pack that works out fine I guess. Rated 5 out of 5 by penelopepitstop from I like these a lot! 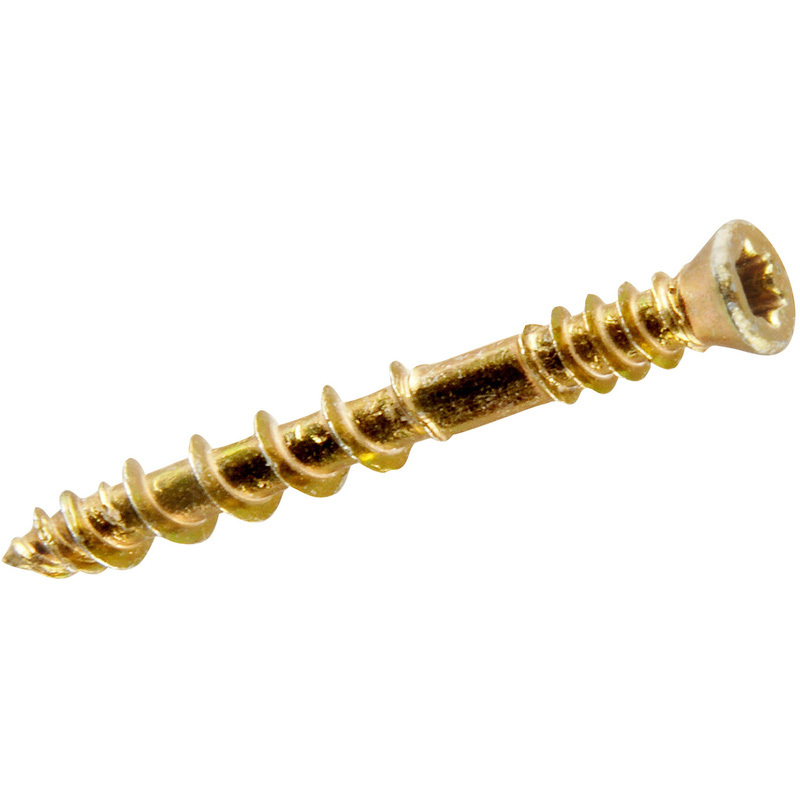 Beautiful screws! Work well. Rated 5 out of 5 by penelopepitstop from Seriously good. Super easy. Discreet. Impressive. Rated 5 out of 5 by Siliconekid1 from Lost-tite. Lost head screws. Used these screws to re-secure and stop squeaking floorboards that were originally laid 15 years ago with a 'Porta' nailer. I was a bit dubious that they would work with them being a small gauge screw, so only bought a few boxes, but they've work a treat. Need to order some more. Rated 5 out of 5 by Que1 from Made a very neat job You can never know how good a product is until you try it. These were very good.